Even when you are standing still, you are moving through space at incredible speed. 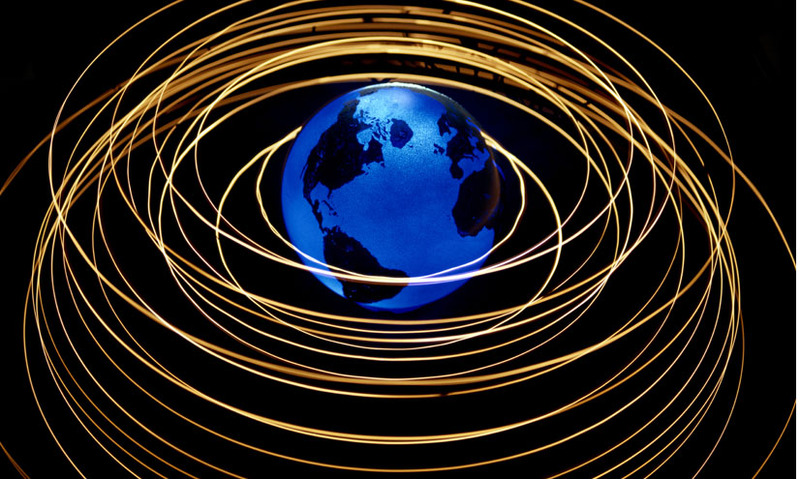 Find out how to calculate just how fast the Earth is moving. Even if you could stay absolutely motionless, you would still be moving. It doesn't feel like it on the ground, but planet Earth is constantly hurtling through space. But even without leaving the planet, astronomers have calculated how fast we are moving. Each year, the Earth completes an astronomical journey. It orbits the Sun, in a rough circle. Early astronomers calculated this circle's radius, by observing the scale and position of other objects in the sky – such as the transit of Venus. The orbit's radius is about 150 million kilometres. By doubling this, astronomers can calculate the orbit's diameter, and therefore its circumference: the approximate distance of its orbit. Around 940 million kilometres, to two significant figures. The Earth completes its 940 million kilometres orbit in exactly one year – or 8766 hours. Which converts to around 31.558 million seconds. 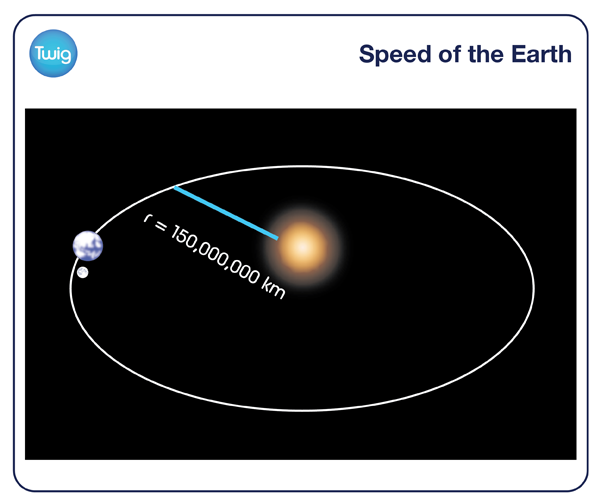 So astronomers can calculate exactly how fast the Earth is moving in metres per second. This reveals that the Earth is travelling nearly 30,000 metres each and every second. Even when it feels like you are standing still. Incredibly, in the time it's taken you to watch this film, you've travelled 4.86 million metres through space.